Shooting of the upcoming film Dabangg 3 has begun with superstar Salman Khan in the lead. The shooting of the film started off in Indore and this will be the third installment of the Dabangg franchise. Producer Arbaaz Khan shared a post that revealed that they will be shooting at their birthplace. The third installment of the film is directed by Prabhu Deva. Salman Khan took his Twitter page to share a picture of the sets and captioned it, “Day1…. #dabangg3 @arbaazSkhan @PDdancing @Nikhil_Dwivedi”. As the shoot has begun and so has the curiosity among the audience and fans of Salman Khan. Dabangg 3 will also be the second film of Salman Khan with Prabhu Deva after they worked together in the film Wanted. 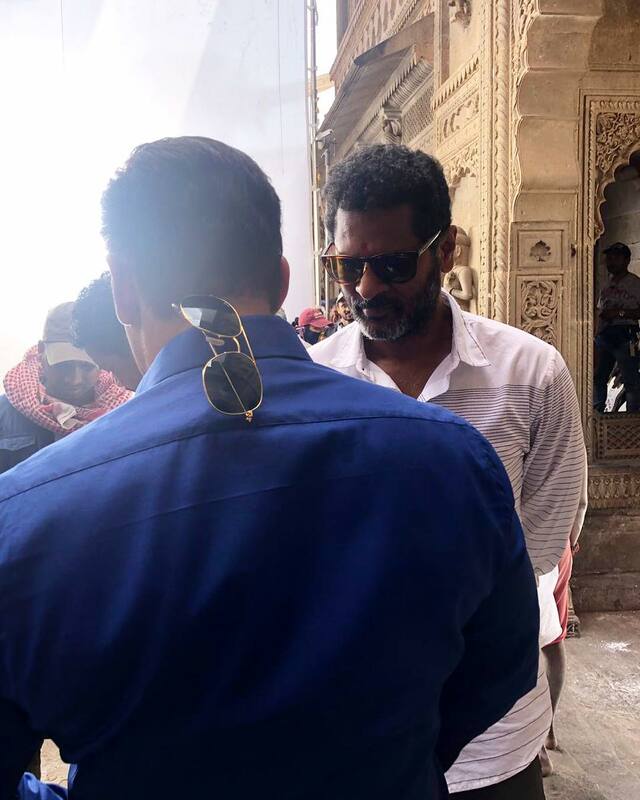 This year Salman will be seen in the upcoming film Bharat directed by Ali Abbas Zafar. The film also stars Katrina Kaif, Disha Patani, Jackie Shroff and Sunil Grover. The official trailer of the film is expected to be out in the third week of April, 2019 and the actual film will be released in theatres in 2019. The first part Dabangg had Salman Khan and had marked the debut of Shatrughan Sinha’s daughter Sonakshi Sinha. The film was released in 2010 and was directed by Abhinav Kashyap.